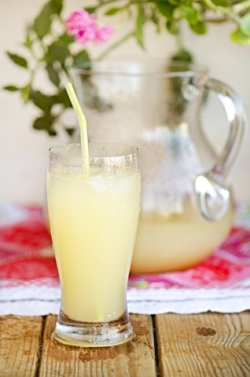 Barley Water has long been known as a heart medicine due to the fact that it simply soaks up cholesterol. It also has antiviral and anticancer activity and contains potent antioxidants including tocotrienols. Barley water is equally well known in feeding infants; it soothes internal inflammations and is valuable in kidney and bladder disorders. 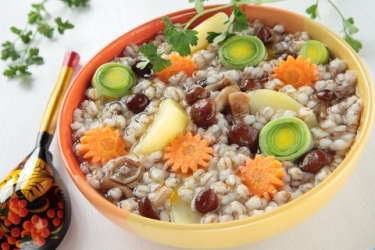 Barley is loaded with betaglucan, a type of soluble fiber that forms a gel in the small intestine. Cholesterol in the body clings to this gel which is then excreted from the body. Barley is one of the richest sources of a powerful antioxidant called tococotrienols. Tococotrienols fight heart disease from two fronts, one by stopping free-radical oxidation that makes LDL cholesterol more likely to become gooey and adhere to the artery walls and secondly they act on the liver to reduce the body's natural production of cholesterol. Barley also contain lignans which is a compound that also has antioxidant abilities which helps prevent tiny blood clots from forming, further reducing the risk of heart disease. Barley contains Selenium and there is evidence that Selenium helps protect us against cancer and especially when combined with antioxidants that Barley has plenty of. The blandness of barley water helps heal and soothe stomach ulcers. Betaglucan a type of soluble fiber contained in Barley soaks up lots of water in the colon thereby helping with digestion work and preventing constipation. Zinc deficiency can lead to dandruff and Barley is a good source of zinc, so add it to your diet when you get a hint of dandruff starting. Barley contains Hordenine which helps relieve bronchial spasm and releases tension in the lungs hugely helpful for asthma sufferers. A more nutritious choice is hulled barley found at health food stores the only downside been the cooking time, you would have soak overnight and then allow to slow cook until tender. Remember to allow a pot size which will accommodate the expansion of the kernels. Drain the water and add the cooked kernels to your soup or stew, I personally, love barley in soup, which probably goes back to my childhood when My Mother never dished up a soup without barley. Cook the Barley as explained above and then save the drained water and store in the fridge. Drink a glass daily, adding some lemon juice especially if been used to help with coughs, sore throats and symptoms of bronchitis. Buy Barley Flakes and add to your muffin or cookie mix to get the advantages of the healing powers of barley.